Eating outside the home can be a fun and enjoyable social activity for children. You can take steps to make sure that dining out is a safe experience for your child. Like many other activities, this depends on planning ahead, giving clear information about your child’s food allergies, making careful choices about their meals and being prepared for food allergy emergencies. You can also call ahead to speak with the manager or chef about safe meal choices for your child. Try to phone at a quiet time for the restaurant so that staff can talk to you without distractions. Some restaurants will be willing to prepare something simple for your child even if it is not on the menu. Choose restaurants where staff members understand the language you speak. Consider preparing a card that lists your child’s specific allergies. 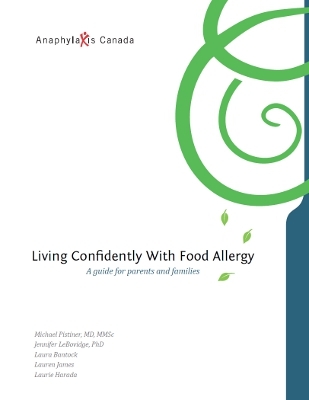 This can be given to the chef after talking to restaurant staff about your child’s allergy. Make sure that you have your child’s auto-injector. Make it a rule that they don’t eat without it. Go early, before the restaurant gets busy. Staff will have more time to answer your questions and help choose your child’s meal. Speak with someone in charge, such as a manager or chef, as well as your server. State what foods your child is allergic to, and make it clear that this is not a preference or your child being fussy. Choose menu items that are simple (e.g. grilled steak with baked potato and steamed vegetable). Dishes with a lot of ingredients or those made in advance (e.g. stews and sauces) may have hidden allergens. Also, staff may forget about something in a dish if there are many ingredients. Ask how food is prepared. Cross-contamination can happen when the same equipment or utensils (e.g. spoons, knives) are used. Some examples: French fries may be made in the same fryer used to deep-fry battered shrimp and fish; a knife that has been used to slice pizza with anchovies (fish) may also be used to cut a cheese pizza. Avoid salad bars and buffets. There is a high risk of cross-contamination. Spoons could be used for more than one dish, and food from one dish could be dropped into another. Be cautious of desserts, because they often contain many common allergens and have a high risk of cross-contamination (e.g. peanut, nuts, milk, egg, soy and wheat). If there is any doubt that a safe meal can be made for your child, find a different restaurant. Practice ordering food using role-play. You can be the server or chef, and your child can tell you about their food allergies and ask questions. This way, they get to practice at home before they are old enough to order on their own. With older children, use take-out menus or go on-line to check out menus. Ask your child what meals they would like to order and help them think about questions to ask at the restaurant. At the restaurant, let children speak for themselves and ask questions if they are ready for this. This experience will increase their skills and comfort while you are there to provide support. Your child will eat out with friends when they are older. Prepare them now with strong skills and confidence for the future. Remind them to thank restaurant staff when they are helpful. Teach your child that no epinephrine = no food. 16. Bock, A.S., Muñoz-Furlong, A. and Sampson, H.A. “Fatalities due to anaphylactic reactions to foods.” The Journal of Allergy and Clinical Immunology 107.1 (2001): 191-193. 21. Young, M.C., Munoz-Furlong, A. and Sicherer, S.H. “Management of food allergies in schools: a perspective for allergists.” Journal of Allergy and Clinical Immunology 124.2 (2009): 175–182. 24. Furlong, T.J., DeSimone, J. and Sicherer, S.H. “Peanut and tree nut allergic reactions in restaurants and other food establishments.” The Journal of Allergy and Clinical Immunology 108.5 (2001): 867-870.